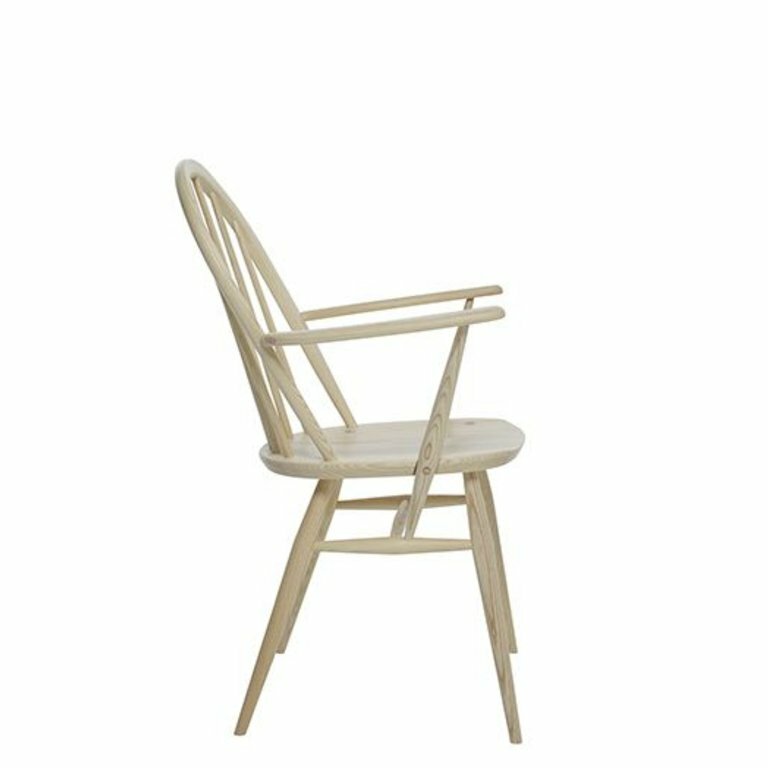 This distinctive ercol Windsor chair combines strength and durability with classic elegance. 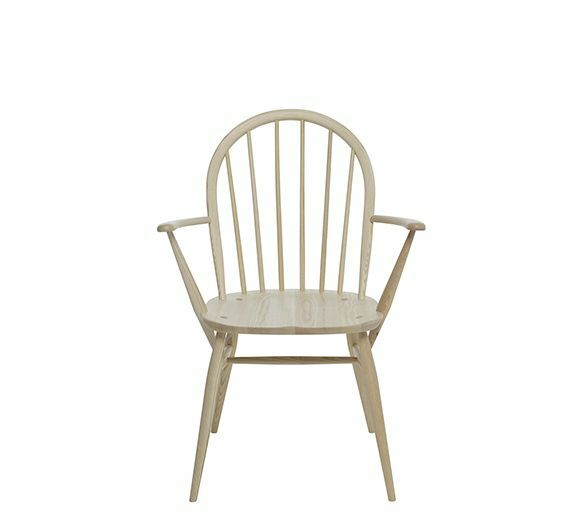 The six ash spindles and curved seatback, alongside the sculpted seat provide a comfortable and supportive sit. 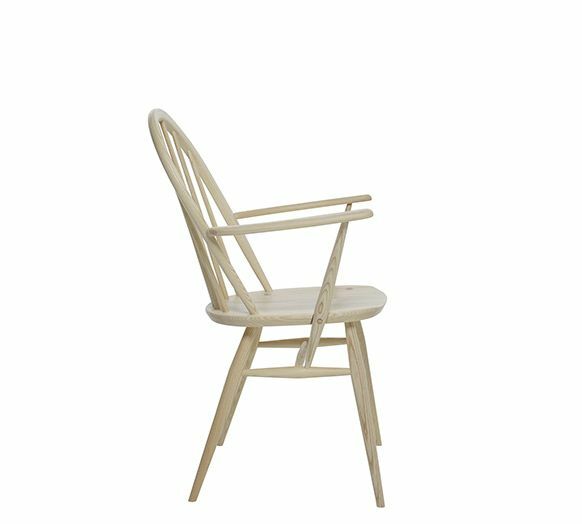 This distinctive Windsor chair combines strength and durability with classic elegance. The six ash spindles and curved seatback, alongside the sculpted seat provide a comfortable and supportive sit. 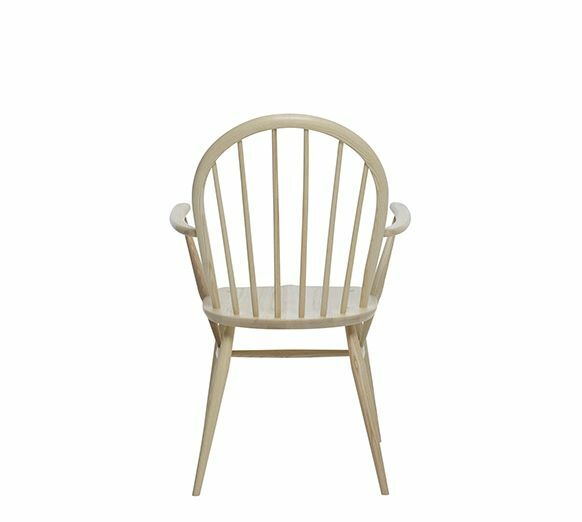 Armrests provide added support so that you can enjoy your dinner in absolute comfort, whilst the contouring to the seat gives added comfort. 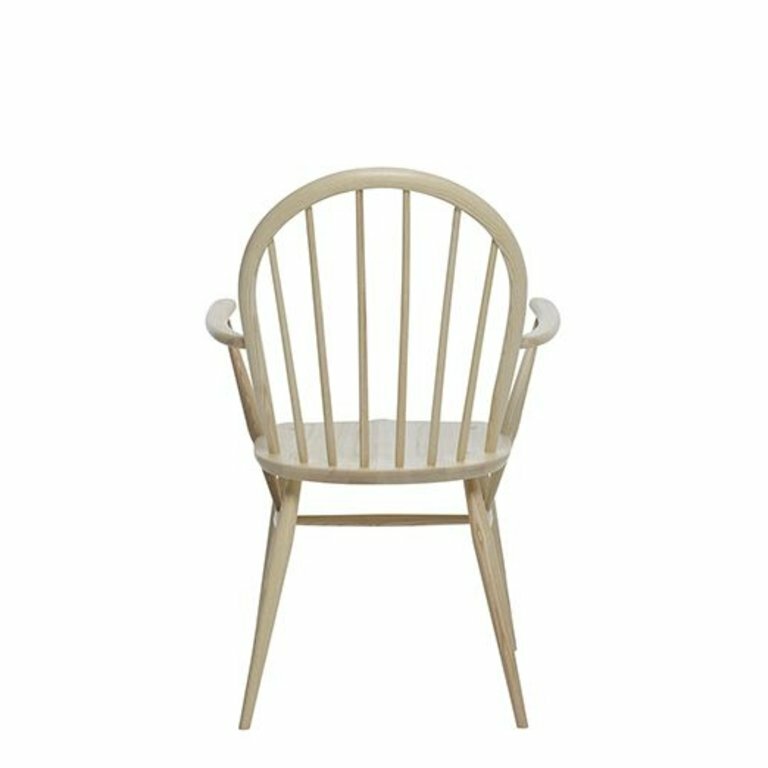 PLEASE NOTE; If you would like to have a naturel wooden finish there are two finishes available. 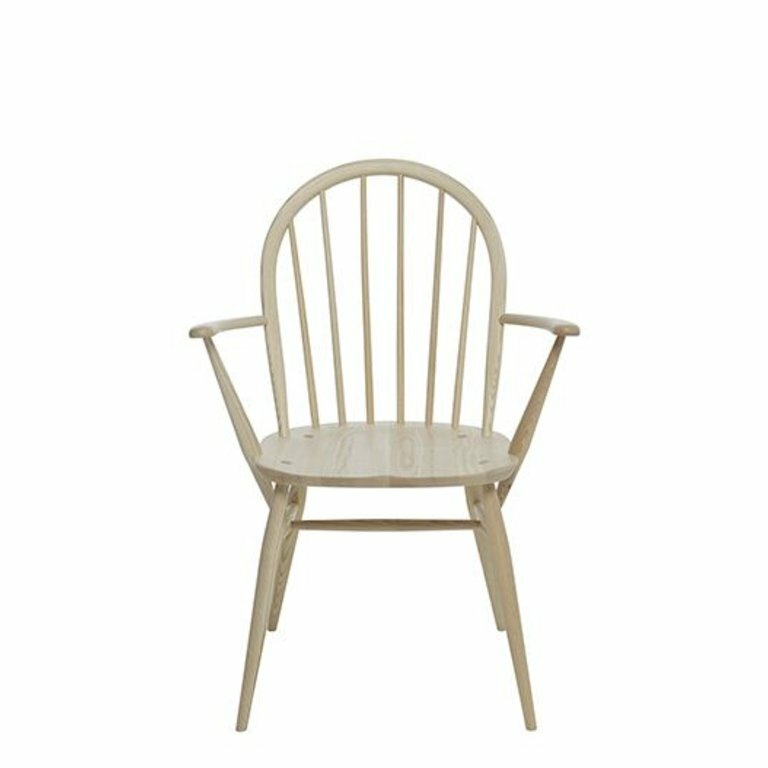 Choise the LM finish if you prefer a more classical satin finish that emphasizes the natural color difference between the Elm seat and Beech legs and Beech back. If you prefer a matt light finish you should choice the DM finish.